CLOSED! CONGRATULATIONS TO ALEX ISENBURG IN TEXAS! Like the M68 from Lum-Tec? Perfect! We’re giving it away! Lum-Tec’s M68 packs quite a punch and is a for sure a crowd favorite, and now you have the chance to win the exact model reviewed here on WatchReport.com. If you haven’t checked out the latest review of the M68, no worries… click HERE. Weight on leather strap 134g/4.7 oz. 1- Comment in the section below and tell us your favorite style of watch and size. All comments must be made on this page only. Comments left on any of WatchReport.com’s social media pages promoting this giveaway will not be included in the contest. All comments must be registered with your valid email address as this is how we will contact the lucky winner! Contest runs now through October 31, 2015. 3- Winner will be announced 48 hours after the contest ends. Winner will be chosen at random by WatchReport.com. You can only one (1) entry per person. Duplicate entries will disqualify you from the giveaway. All entries must supply a valid email address when entering the giveaway. Winner will be responsible for supplying WatchReport.com their shipping address for delivery. Please review the Terms and Conditions for the giveaway HERE. I like pilot style watches in the size range of 42-44 mm. I’m a fan of divers in the 40-42mm range. I prefer a pilot watch, 38-42mm in size. Loving the divers watches at the moment, most sizes too. Anything from around 39mm – 50+mm. I tto, prefer gifting the smaller (40 mm) pilot watches. Thanks for sponsoring a promotional. I love a pilot style 42-44mm. I love the Military wrist watch because of it’s unique design. My family is third generation Military and the watch is so realistic, we are pleased to see it so beautifully presented. My favourite category of watches are sports / diving watches and size wise, I tend to prefer anything from 40mm to 45mm. I’m also a big fan of the pilots. I think 42mm is a great case size. I’d have to divers are my favorite but I’ve been eyeballing chrono’s real hard lately! My favourite kind of watch is the diving/toolwatch, from 39mm and up to about 45-46mm. The fact that the watch serves an purpose other than being just sometimg of a fashionstatement is satisfactory. Unfortunately i don’t have Facebook, but i ticked the ‘Follow’-button on Instagram. My favorite style of watches are dive watches in the 40mm-44mm range. I fell in love with dive watches after seeing Pierce Brosnan wearing the Omega Seamaster Professional in Goldeneye. Over time I feel in love with the Submariner, Black Bay and even up to the Luminor case Panerais. Also they are tough watches built for a purpose and I can wear them with pretty much anything. My favorite and most worn watches are sport diving watches. I tend to prefer anything from 40mm to 43mm but will occasionally wear up to 45mm. I like pilot watches also. My father recently got me an Orient Flight which is 40 and I love it. I really like the lum tech numbers. I think they are so fitting for the watch. My favorite watch styles are divers and pilots. Any size from 45mm and up is my preferred because I have large hands and thick wrists. Love pilot watches, in the 42-44mm range, gotta have good lume and automatic movement preferred. 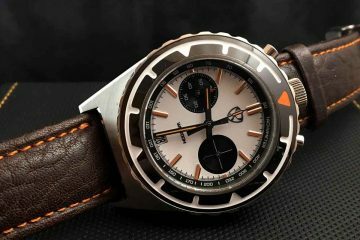 I love vintage and vintage inspired chronos and divers. I like 38-44mm, but around 40mm would be the “sweet spot”. Favorite watches are dress watches in the 40mm range. In the market for something sportier now! My “stranded-on-a-desert-island” watch would be any species of Panerai dive watch. That’s why I’m so excited to enter this contest: I am a huge fan of Lum-Tec of course for their extreme lum, but also for their M series and its stable of wonderful Panerai-esque timepieces. I favor pilots and divers. Being a big guy, I prefer them on the larger size between 40&48mm. This lun tech model looks awesome. 42-44 Pilot and Divers are my favorite. Divers 44-45 mm either traditional or cushion panerail type, with leather strap, with the possibility to switch straps, to get a new look. I’ve really grown to love the look of Pilot watches. 42-45 mm is my favorite size. My favorite type of watch is the Pilot style with 41-42mm diameter case. I like Pilot styled watches. Favorite size range for me is 42-44 mm. Thanks! I’m a lume junkie. That’s why my favourite type of watch definitely dive watches. My size sweet spot is 42mm to 44mm. Definitely aviation/pilots watches. Really considering picking up a Gavox Squadron after reading your review of it. Definitely pilot watches. Between 42mm and 45mm does the trick. Thanks guys. Have a good one! Favorites are divers and Panerai style watches in 44-45 mm sizes. I prefer 42-44mm Diver’s watches. I used to be really fond of large watches (44mm and upwards), but recently I found myself gravitating toward smaller watches. That said, a large watch is a must in anyone’s collection! My favourite style is pilots watches and I prefer bigger types of watches. My beaters are 44mm and 50mm respectively and they are just right. My favorite style watch is a dive watch in the 43mm-4mm range. I prefer the watch to be on a bracelet, preferably with ratcheting clasp and half links. Sapphire crystal, 28,800 high beat movement, and great lume are also a must. Thanks for the contest! It would have to be dive watches for me in the 44mm to 47 mm range. I really love divers, exactly vintage 70´s style like a good “apocalypse now” and modern powerfull lume divers. Good luck everyone! I like diver watches with case diameter around 42m to 44 mm. Dive watches are definitely my favorite. I like diver watch with case diameter form 44mm to 47mm. Bronze, stainless steel or titanium are all fine. I love divers in a 46mm size. I like diver watches in 40-42mm sizes. ? My like divers and pilot watches in the 42-44mm range. My favorite style watch has 12-3-6-9 dial and size of 39-42 mm. Basically pilot’s watches in general. My favorite is 44mm dive watches. Thanks to lumtec and watch report fot the chance to win. I mainly prefer dive watches, the bigger the better. Anything between 42mm and 47mm works, if I could pic one I’d say 45mm is perfect. I like the pilot and dive watches in the 42-46 range. What a tough question to answer. But if I had choose my favourite watch style would be something simple and clean that has so much more to tell beneath the skin. I like watches that are stylish on the outside and only a true watch enthusiast would be able to tell the true beauty of the watch from knowing what is in the inside (e.g. Rebelde by Nicholas Hacko). Recently I have been attracted to watches around the 42-44mm area. I feel it is the perfect size for me. P.S. Stainless steel is much more elegant than gold. Cheers!! I like divers and pilots from 37-43. Outside it I love my Seiko ceramic tuna of 50mm. It takes so much wrist time!!! I would have to say 44mm diver style watches do it for me everytime. I like ultra thin ‘dress’ watches, 38-42 mm. I’ve always preferred dive watches, 40-45mm, but I do enjoy pilot and field watches in the same size range. Hard to choose, but if backed into a corner, Submariner style sport watches. Prefer mostly simple dial designs, fit in most anywhere situations. As tough as it is to choose a favourite watch style, I’d have to go with divers. Anywhere between 40mm – 44mm is a perfect fit. I love divers 42-43 mm even 40 mm. Love anything with some heft to it, and a classic look…40-46mm. I’m quite a fan of divers between 42-44mm. Beautiful and durable! I’m really into 24-hour dial watches at around 42mm. Think Glycine Airman… I love that watch. Lum-Tec’s Stealth Mission is quite amazing too! I’m also a big fan of the pilots. 40 – 44 is good. 40 -44 mm classic divers. But really, anything that looks good and serves its purpose. I like field watches around 40-44 mm, preferably with a screw down crown to handling reaching in and out of pockets and bags without snagging too much. I like the Divers Watch., under 44mm. I like divers in about 44 cases that are no thicker than 15mm with 22 or 24 lugs. first off, thanks for the giveaway. I prefer dive watches and typically 40-43mm depending on style, case design and dial opening size. L2L of 50-51 max. I like divers watches in the 43 to 48 mm style. I have always been fascinated with watches since I was little. As functional art, watches are one of the few things that I actually change in my routine and accent what I wear. Some people don’t understand my watch fascination – but they always seem to like/comment on my watches when I wear them. Love the military style watches 44mm. The Lum-Tec M68 is a beautiful blending of form and function. Can’t think of a better diver’s watch, but also looks great anywhere with the leather, rubber, and stainless straps. Would love to own of of these limited edition watches! I prefer vintage but I am open to trying another style. This watch would look a lot better if it was on my wrist-thsnks. Awesome giveaway! This is a gorgeous watch! Large watches 43mm is perfect. I’m into the 40-44 mm , pilot type watches. This one would look great on my wrist. I like Speed Master style watches around 44mm. The 300M-2 40 mm PVD is my favorite. Thank you for the giveaway. These are awesome watches. I’m just learning about these but the divers look great. I love 44-48mm chunky dive watches and similar sized, clean pilot type watches. At 6’4, 280 I need something that doesn’t look tiny on me! Being a woman, I prefer bracelet style watches and the smaller the better. So something in the 30-35mm size is about right. Lum Tec is a brand I haven’t heard of. Would love to win for my husband. A Lum-Tec Watch is a Fabulous Time Piece; Very Accurate, Very Affordable and a Great Brand/Style in the World.!!! Dive watches 42-44mm. I do like the style of this Lum-Tec and your site is great! I like the clean, simple, sophisticated look. I’d like the divers but also the chrono is great. Thank you. They are are awesome…. dive , glow watch not sure on size 40? I like classic dive watches, from 42mm – 48mm. Thanks for the chance. I like the diving watches in about a 42mm. I like the divers in about a 42mm. Didn’t mean to duplicate post. Please delete this and my 2nd one. I like the Lum-Tex M68. Just in time for Hallowen! I like Divers the most, in the 42mm range. My favorite case sizes are between 42mm to 45mm .Lum-tec is just right down that alley .I also love to swap straps since i have ranging from leather to natos . I’m a big fan of the pilots. I think 42mm is the best case size. I like the M68 Lum-Tec watch just as shown on this web page!!! I like Diver Watches and Pilots around 42 to 44 mm. I like large dive watches, over 40mm cushion style cases. My favorite style would be along the lines of a pilot watch, with a large face say 40mm and above as my eyes are myopic. I would LOVE to win this watch! Thanks for the opportunity! I like the Lum-Tec M68 watch. my favorite style is field/dive watches in the range of 42-44. I love the divers style but am partial to any type of chronograph watch. I’m a fan of larger watches 42mm to 46mm with domed crystals. Pilots and divers are sweet. 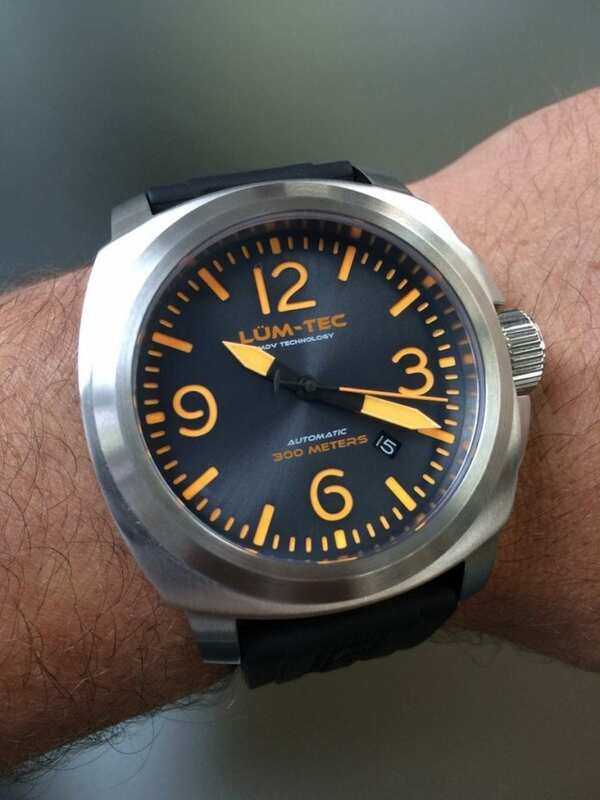 The Lum Tec is definitely a watch I’d like to have. I like the feminine style aviator watches; sport watches great too! That’s a nice looking watch, mhsband would love it. I’m thinking I favor the pilot styles most. This Lum-Tec has the perfect dimensions with a 44mm case and 24mm strap. Thanks for the chance to win one! My favourite styles are pilot, diver & military with size 40-44mm. I like when a man’s watch is bold and distinct to make a statement. I love the style and durability of the divers. Solid looking for casual wear and classy looking with a shirt. I like diving watches sizes between 38 mm to 48 mm! I prefer wearing divers watches in the 42-44mm size. I love the M68. It is so sleek and awesome. I think the larger size would be the way to go for me. I’m a big fan of pilot watches with sizes between 42mm to 45mm. I like the divers watch in the 36-40mm. I’m kind of locked into divers, they have been the bulk of my collection for a number of years. I’ve owned a lume tec before and it was a stellar piece, still kicking myself for getting rid of it for something else. A 40mm diver’s watch with a clean face (no date), and a work horse movement is what get’s me giddy! For me its all about dive watches in the 42mm to 45mm range. Cushion case is awesome, such as Benarus Moray, Panerai, and classics are great too – Rolex Deep Sea Dweller. I am looking for a different type of pilots or divers watch from 40 to 44mm range…this one looks nice! The Lum-Tec M68 could define my favorite size and style of watch perfectly ! I am a diver and this watch looks like it would be easy to read underwater. I love fliegers and dive watches! 42 to 45mm seems to be just about the perfect size to me. I prefer diver 38mm yo 48 mm. I like a clean non flashy look. Like a business casual watch. my favorite watches are divers in the 42mm range, but i really want a panerai 44mm and this lumtec is really sweet! I like Aviator styled Timepieces with nice big faces 42mm and larger. I really like divers and rally like chrono’s. From 41mm up to about 44mm. This Lum-tec would be a great addition to my collection! My personal favorite is a diver style, preferable barrel shape case, around 42mm. I’m currently wooed by the Sistem51. 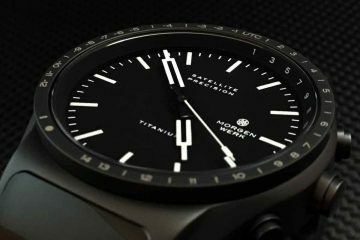 I love pioneers and new innovations incorporated to unique watches (I despise “minimalistic” because they are all basically identical) the sistem51 is a great example of innovation and fresh creativity! I love watches in general, but I’ve come to get annoyed of Quartz watches and the idea of changing batteries. Having an arsenal of watches, it’s troubling to let the batteries run without use but also tedious to pull crowns. I’d go with any kinetic, mechanical/automatic, solar. Divers… 44mm or greater is my preference. A bezel bulks up a watch, like protein to muscles. Divers are my thing especially something with a strong lume. A good size for divers are probably 42mm-44mm for me. Anything bigger and it looks too bulky. Anything too small and you have to strain your eyes to check the watch. Love the style of these watches!!! I like military, pilot and dive watches in the 42-44 mm range. I like a wide range of watches. However, I prefer midsize (39-42mm) divers on bracelets – though a diver that comes with both a bracelet and rubber strap is nice! I am, by the way, a fan of Lum Tec watches – the uncomplicated look is appealing. Cheers! I love aviator style watches, especially with a nice titanium band! I like elegant watches, the bigger the better. I prefer Divers from 40mm and up. I love an automatic chronograph watch, 44 mm on my husband! Favorite watch style is the diver around 45mm or so with good lume. for night or low light use and large dial markers/numbers and easy to read three hands. Date window is optional but nice. My favorite watch style is worldtimer 40-42mm. I am currently a fan of cushion case diver watches. I’m in love with 44m watches, especially sport watches, like the Omega Speedmaster, Tag Heuer Carrera, Baume&Mercier Capeland, Maurice Lacroix Pontos. Liking this watch a lot, a normal person would mistake it for a Panerai. Fingers crossed. I love pilot style 42 mm! I love diving watches in 39-44 mm! I’m a sucker for just about any automatic chronograph, in the 45mm range. Love to watch scary movies! I love diving watches with huge bezels, 60 clicks and 38mm – 44mm. I prefer the diving watches in the 38mm – 42mm range. Pilot style for sure, and 42 mm, but I am not too partial and could go for something a little bigger. Great to see this kind of case; man, dive watches are great and even more the pilots! Beautiful watches. I sure would like my “main man” to have one! GMT or WorldTime with marks of cities, 42-44mm. I like sporty dress watches and dressy sports watches, particularly diving watches with metal bracelets. I like a watch that can be worn during a morning workout or swim and then to a client meeting at the office. I prefer something highly waterproof, preferably with a screw-in crown and caseback. I also like highly scratch-resistant crystals. I like generous lume and/or tritium for easy viewing in any light conditions. I like a clean, easy to read dial that shows hours, minutes, seconds, and date. Good shock resistance is also a plus. I am ilargely indifferent between mechanical and quartz movements. While I generally prefer the look of stainless steel, I would like to see more watchmakers offer black DLC coated cases and bracelets. Large and hefty mechanical diver’s and pilot’s watch within the 44-47mm range are in for me. The M68 is another winner. I like both square/squarish and round cases – anywhere between 40-44mm, and versatile enough for casual and semi-formal wear. World War II era field watches, simple yet beautiful. I like dress watches, size 42-44 mm. Thanks for chance to win. I like pilot watches in the 40 – 44mm range. I prefer divers watches in the 42mm range, like my Vostok Scuba dude and SKX 007. I really like dive watches, with a size of about 39-44mm. I have a watch in my collection (not a diver) that’s 47mm and the absolute limit of what my wrist could take, but luckily it has a lug-to-lug of just under 50mm which means it’s pretty wearable. I think lug-to-lug is just as important as diameter when choosing size! Anything over 55mm would look clownish on my wrist, unless it’s a G-Shock in which case I wouldn’t care. I like diver and aviator watches that range from 38mm to 44mm. I’d say divers for myself. As far as size goes 40 to 44mm is my range. I like the bigger styles however I have a few 38mm dress watches I love! My favorite style is aviator and I prefer bigger sizes, in the line of 42-44mm. I love the sports / diving watches and size wise, I tend to prefer anything from 40mm to 45mm. I like the divers watch 40mm-42mm. I like mainly dive style watches in smaller sizes 38-40mm. Pilots and divers in the 41-44mm range. Readability and lume. That’s what I need. I prefer chronographs and slim dress watches anywhere from 38mm-44mm. I like different styles for different occasions. But if pressed my favorites would be small (unisex) moon-phase chronographs. I like the divers watches, 42/44 mm in size. I’m a big fan of divers in the 42mm range. I like a classic diver that fits well with any outfit. You can call me a desk diver for sure. Thanks for the opportunity! Diver watches for me, although I also like a dress watch to wear at certain times. Personally I have to use wide watches because im a big boy no less than 40 mm but no larger that 45 -46 ? Anything in a diver/military style will work ! I like women’s dive watches with sapphire crystals. The smaller the better, with good lume. I prefer diver style watches in 38-42 mm size! I like the sandwich face and the 44mm size case. i am a lover of pilot chronograph watches.44mm plus case dia.my grail watch is the breitling navitimer 806.
a 44mm diver is a perfect watch for me. I like diving watches, and the big tuna can styles. Lum-Tech! Extremely excited that a quality watch is being manufactured in the United States! Gosh do they have some GORGEOUS models! 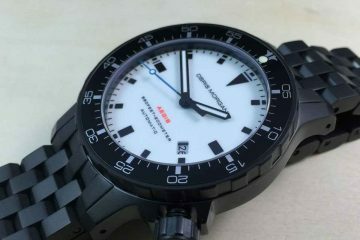 I like automatic diver/military style watches, 44-45mm case , 22-24mm lug size. I love Divers from 42mm and up. I like to wear them on Natos or Zulus. Only one Quarzdiver is in my Collection, the others are Automatic. I like pilot watches between 42-44mm. And a lug width not exceeding 50mm. Divers all the way baby! 40-44mm depending on the style of the watch. But then again, i like pilot, dress and casual watches too. Unfortunatly, i dont have Facebook, but i hope i can still enter the competition. Thank you for the oppurtunity and for a great site! Anything around 45-47mm appears to be my wheelhouse. I do own options both larger and smaller, but either way with me, most companies straps have to be swapped out for something longer due to my wrist being so large. As far as a style, I seem to prefer sport diver styles best. I just recently got into vintage watches and I have to say vintage chronos are favorite watches right now. 42-44mm. Something about the look! I love the pilot model 43mm! I like world timers around 42-44mm. I have been gravitating more toward the diving watch style lately, but have always enjoyed the style of chronographs. My current dream watch is the navitimer—strictly for its beauty and design. Size? Not sure…38-42 might be my ideal range. These are some absolutely stunning watches!!!! Love, love, love!! !